Short answer: What you’re worth plus interest relevant to the lifetime value of the offering. Long answer: Ain’t no one’s self-esteem high enough or balanced enough to figure that out. So, how do we do it? The easiest place to start is market research. Check out what your competitors are doing. Someone in a similar niche, or industry, within a similar locale (if your services/products aren’t of the www. nature) is a good place to start. Find 3 to 5 competitors who are already established and note down what they’re offering and for how much. Are they packaging services together in order to provide discounts? Are they providing deals for new customers? Are there obvious opportunities for repeat customers? Have they tiered their pricing in any way? Which budgets do they cater for? Now look at all your products and services and pull them together into categories. What we are trying to do here is create a portfolio of services. What do you do? Structuring your portfolio like this helps to create a much clearer pricing structure for both you and your clients. Next to each of these categories and services, write down what your competitors are charging so you have a rough bracket to work from as your starting point. (Note: this is not to say you can’t double what your competitors are charging). The next area we want to look at is your NICHE… what makes you different to your competitors? What can you offer that no one else can? Which problem are you solving for your clients? What gives you the edge above your competitors. As a dancer, perhaps your edge is that you were one of Beyonce’s backing dancers on her last tour… how many people can say that? As a therapist, perhaps it’s that you incorporate a mixture of techniques that can’t be found elsewhere. As an artist, perhaps you’re using materials that are very rare and beautiful. Whatever your niche, you need to think of this as your edge, the thing that makes you different. Without defining your uniqueness, you’re not going to be able to articulate the value of your work to your clients. It is this VALUE which determines how much you charge! Now we need to create your OFFER! In theory you can charge whatever the hell you like, but it is the OFFER that ascertains in the buyers mind whether they are willing to pay X for your services. Singing teacher with 5 years experience teaching all ages, all genres, all abilities. I can teach anyone how to sing! I charge £30 per hour and will travel to your home. Vocal Coach with over 5 years of experience in a wide range of genres and styles. I take an holistic approach to teaching and invest my knowledge and passion into each individual voice. No two voices are the same, and for this reason, I choose not to cram my students into a ‘one size fits all approach’, instead opting to marry together a mixture of techniques in order to capture the true essence of your voice and help you build towards developing your own unique sound. I focus on health, strength, and stamina, as well as the exploration of different repertoire to guide you through the magic of the musical world. I teach from a professional studios in West London. Fees start from £60 per hour. Whether you’re looking to pursue singing professionally, or just for fun, I guarantee together we can uncover the power that resides within your vocal folds! Who would you choose? I hope the answer is obvious. There will ALWAYS be people who will undercut you and charge less. Creatives live in fear of charging too much because they don’t want to be out of work. Trust me, I know, I’ve been there. But there’s another little gremlin at play here, and one we need to consider very seriously. Slippery little bugger, has a tendency to run away when we’re not feeling so fabulous, but he’s crucial to this price setting game. 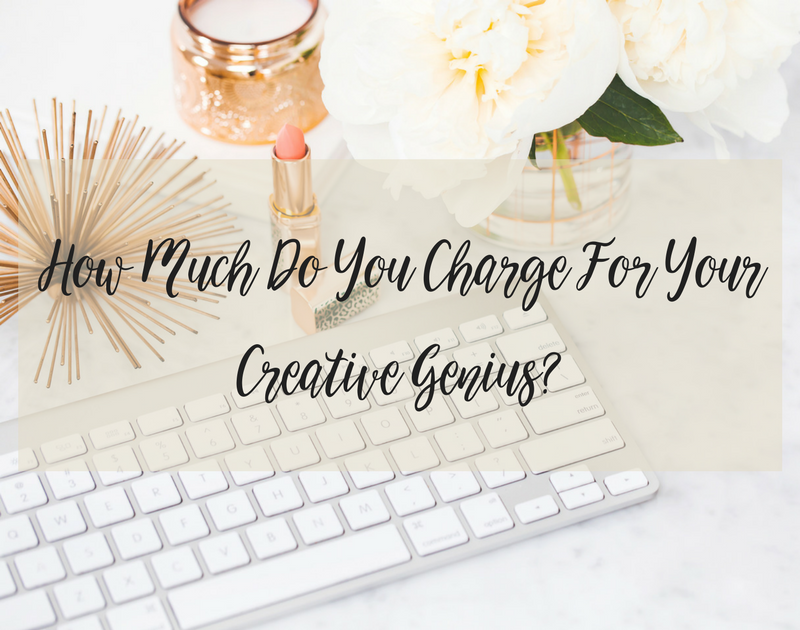 If you set your prices too low you’re practically screaming at your potential clients that even you don’t think you’re good enough to do this job so why the hell should they think you’re good enough? They will not hire you. If you set your prices too high that it makes even you feel uncomfortable, then you’re not being true to yourself. Authenticity sells a lot more than cleverly written copy. Energy is apparent whether you subscribe to the theory or not. Your clients will sense your sincerity and if you’re over-egging something then you’ll inevitably walk away empty handed. You want to find the middle ground. What makes you feel good? What are you worth?! Don’t work for £5 an hour if that’s not enough to cover your basic living costs. There’s no pride in screwing your landlord over because you couldn’t afford the rent that month. If you live in an expensive city then it goes without saying you will charge more than competitors out of town. I believe they call it economic factoring. Whatever you want to call it, it’s common bloody sense. Don’t martyr yourself or under-cut your competitors, no one will thank you. Try on a few prices for size! How does it look in your ad copy? How does it add up from a financial perspective? How does it compare to your competitors? Can you JUSTIFY the value? Is the offer that goes with the price tag irresistible to your potential clients? Anything that’s irresistible is a winner… and being irresistible doesn’t mean you have to turn into a discount dolly. I will confess, this blog post was put to me as a challenge, by someone I know has creative genius burning up inside of them. It’s beautiful. But I also know in my experience of working with creatives that mindset is the first hurdle that needs to be addressed. Putting a price tag on your gift can feel like a betrayal of self, like you’re tarnishing the beauty of what you do somehow… take my word for it on this one… you were given your gift so you could lead a life of abundance. Your gift was never meant to burden you or keep you poor. You have the capacity to fill the world with beauty and change lives… in my very humble opinion, you ought to be charging a small fortune for that, but I am on with changing the creative industries, one genius mind at a time! Until the day I achieve my ultimate goal (to change the face of the music industry), I hope this titbit of advice will help you on your journey to financial abundance!